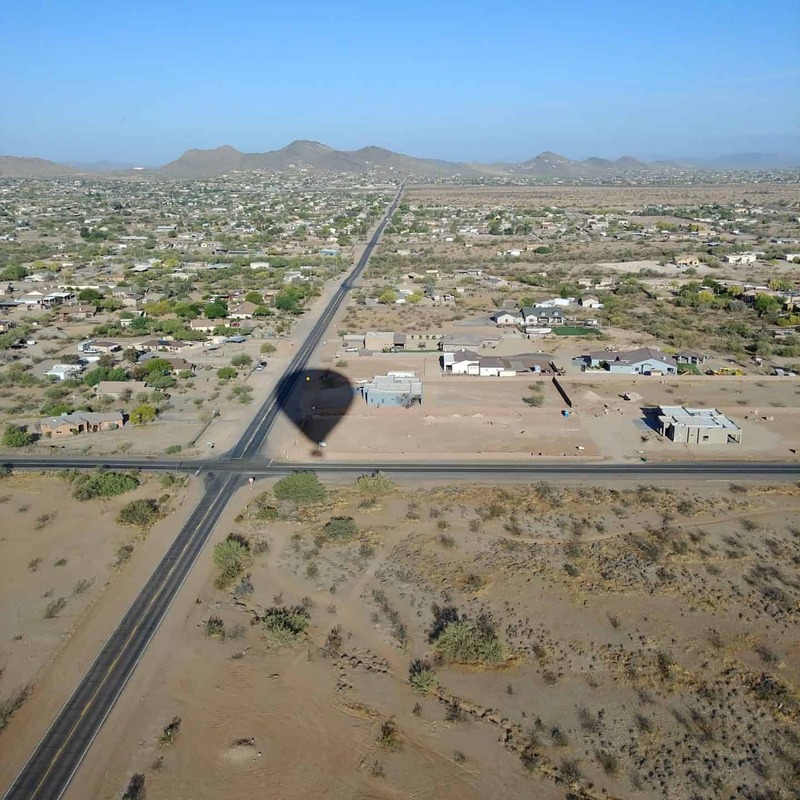 Are you ready for the most amazing hot air balloon ride Arizona that you will ever experience? 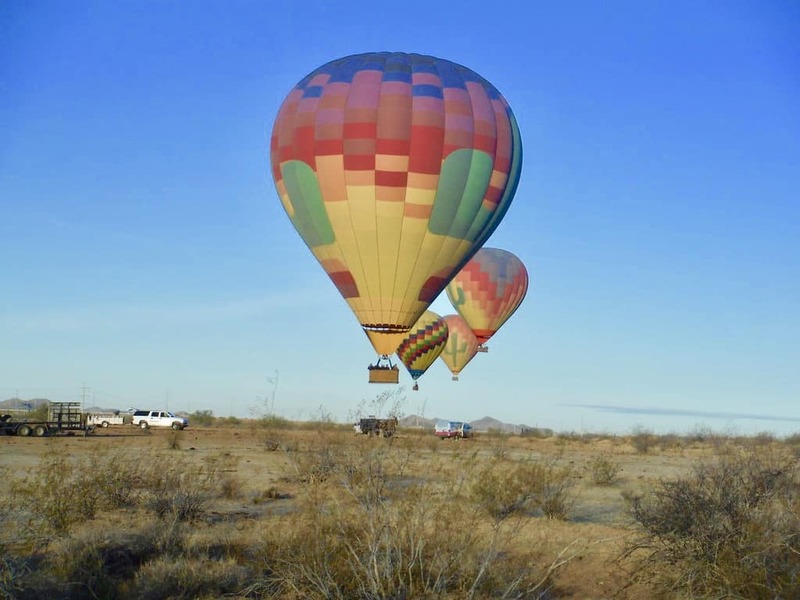 We were lucky to experience a hot air balloon ride Arizona with Hot Air Expeditions . We were first-time ballooners and had no idea what to expect. To be completely honest, we were terrified. After speaking to a few people who have already been, they put me at ease and ensured me that we would love it. This has always been a big bucket list items so I knew we had to do it. Of course, I did a bit of research of my own and read that hot air ballooning is one of the safest forms of flight known to man. 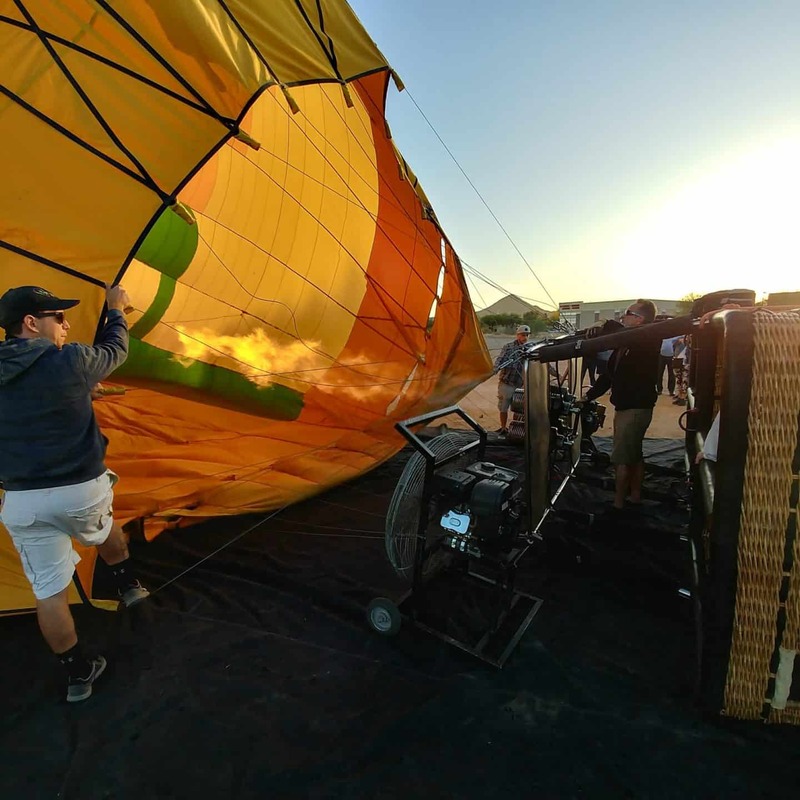 Each Hot Air Expeditions pilot has hundreds of hours of hot air balloon flying experience, as well as a Federal Aviation Administration Certified Pilot’s License. 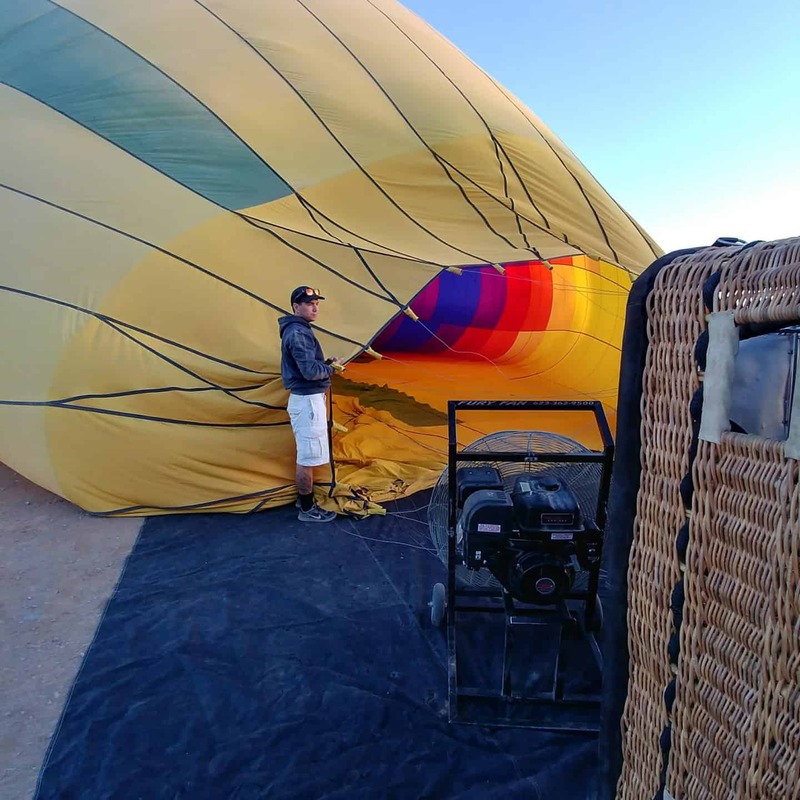 The hot air balloons at Hot Air Expeditions are of the highest quality and are inspected regularly by a Federal Aviation Administration approved facility to ensure they remain in perfect working order. We were picked up at The Hotel Valley Ho at 5:00 am (yes I know, way too early but totally worth it) just in time to catch the sunrise. Our driver took us to the hot air balloon take off zone. As we approached the balloon I started to feel a little nervous. We stood watching as the balloon was inflated by motorized fams. Once it was filled with air, the propane burners were ignited to heat the air inside. 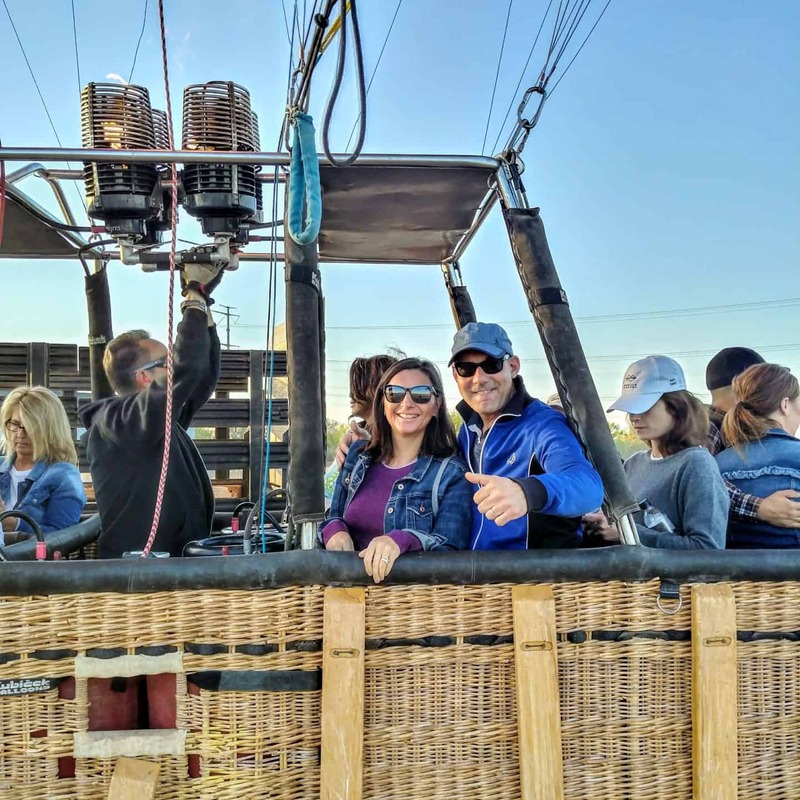 We all climbed into the balloon (this was a 20 passenger balloon) and joined our pilot in a large wicker basket. We were all pretty quiet as the balloon started to take off. I actually felt my knees slightly quiver as the balloon started to lift off the ground. I kept my eyes out on the horizon as the balloon started to sail in the sky. 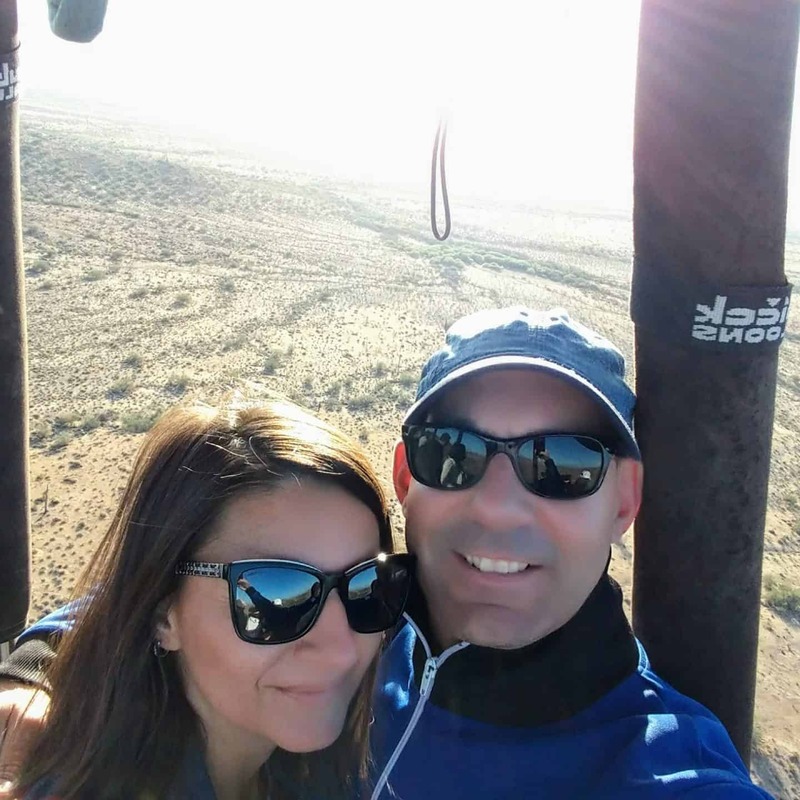 We gently left the Earth and were amazed at how light the balloon felt. Before we knew it, we were soaring up in the sky and my knees stopped quivering and a sense of calmness came over me. 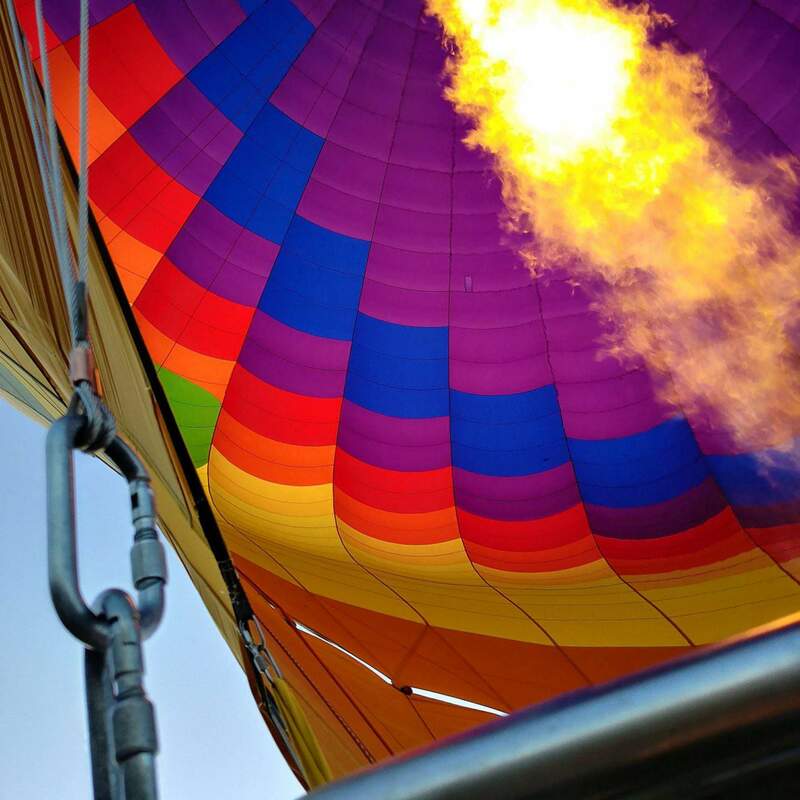 The ride was so smooth that you could not even feel the balloon moving. It was the most tranquil ride that one must experience for themselves. 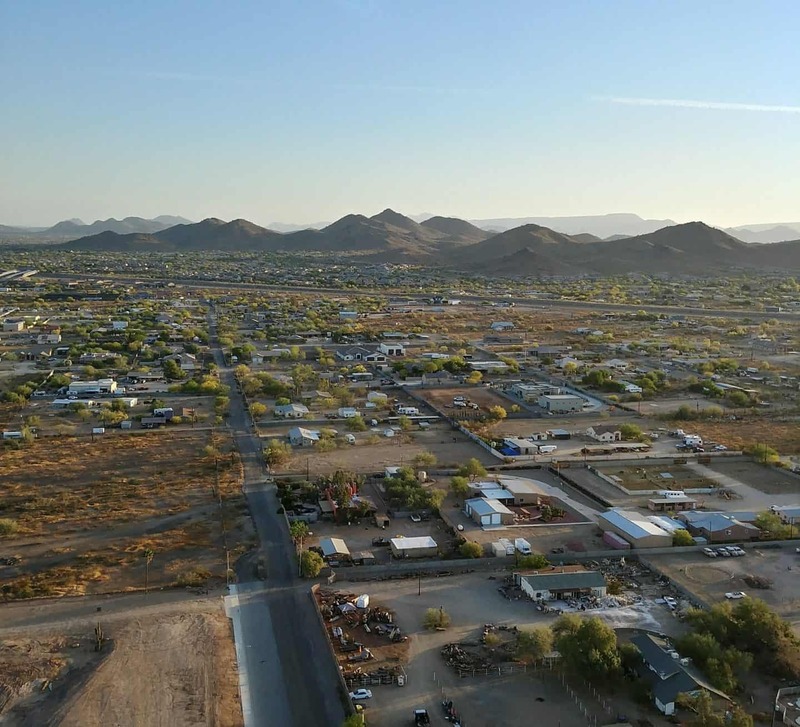 As we floated over the spectacular Sonoran Desert it looked even more unbelievable from above. We spotted jackrabbits and some other wildlife roaming below. Before you know it, it was time to land. When preparing for landing you have to squat down in the basket and hold onto the ropes. We had a smooth landing. 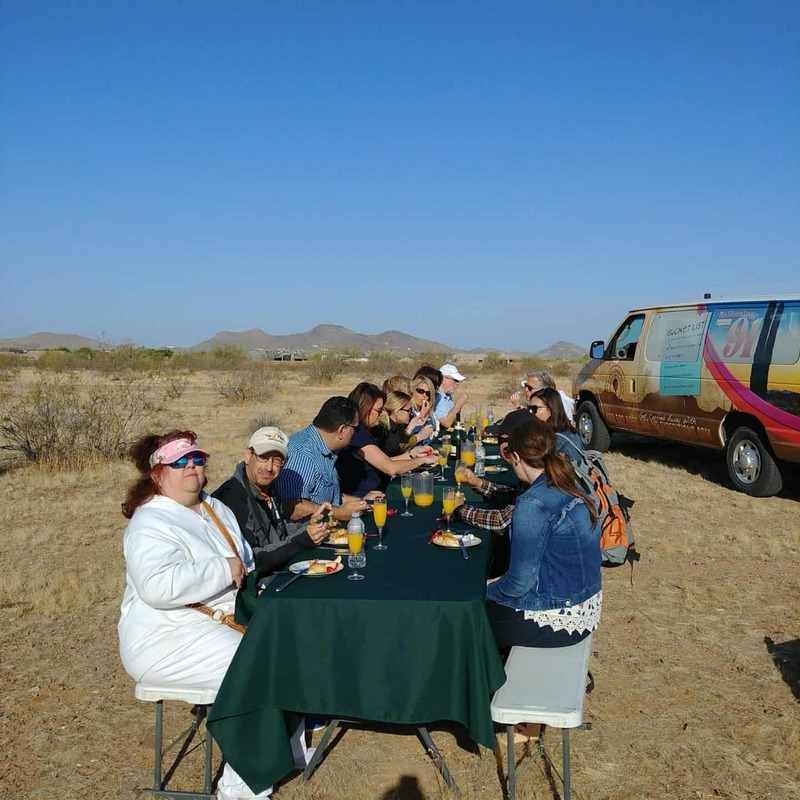 Upon landing, we were welcomed back to earth in the traditional manner with flutes of champagne and a breakfast of croissants, cheese, and fruit. Dress in layers. The weather is about the same as ground level but the early morning flights can be cooler at first. 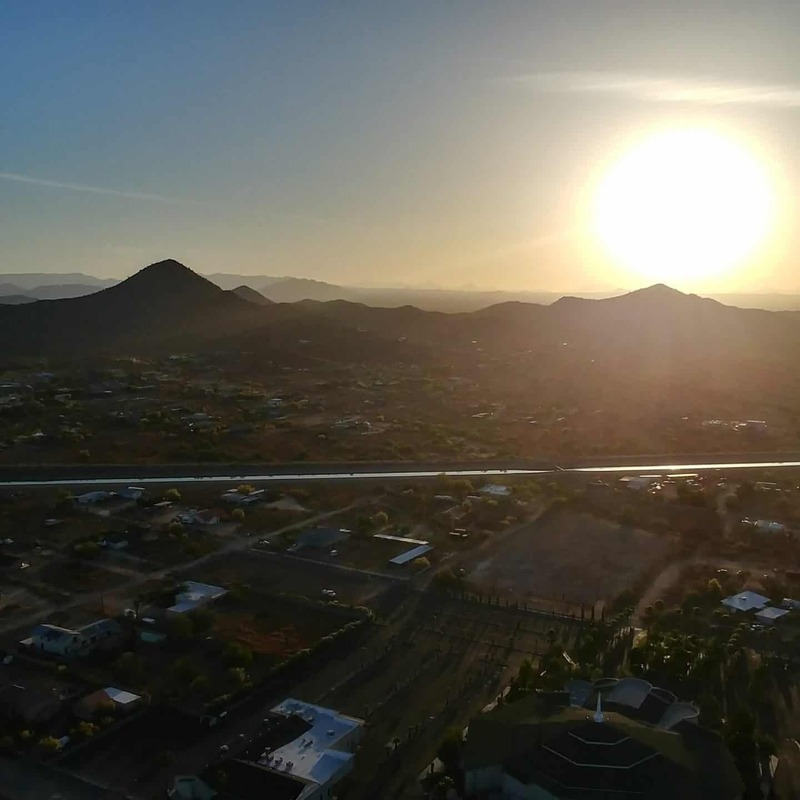 I would highly recommend booking a hot air balloon ride in Scottsdale. 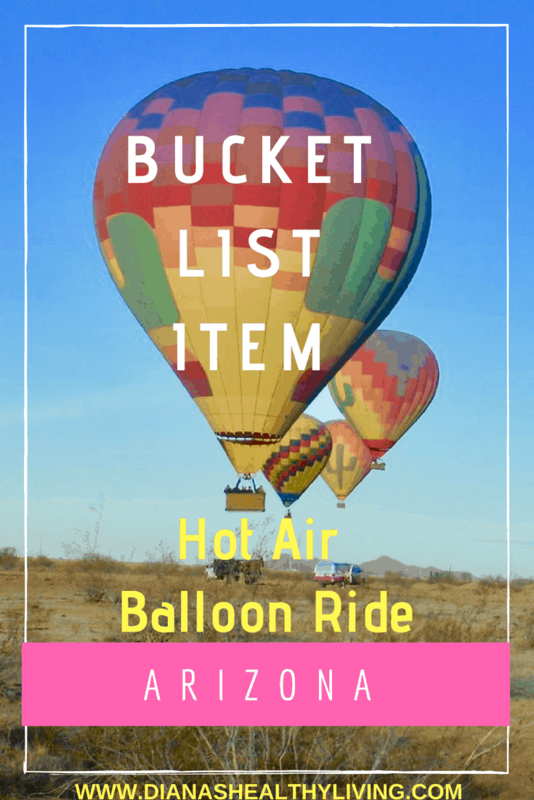 It was the highlight of our trip and we decided that we are going to do a hot air balloon ride in every destination we visit if it is offered. 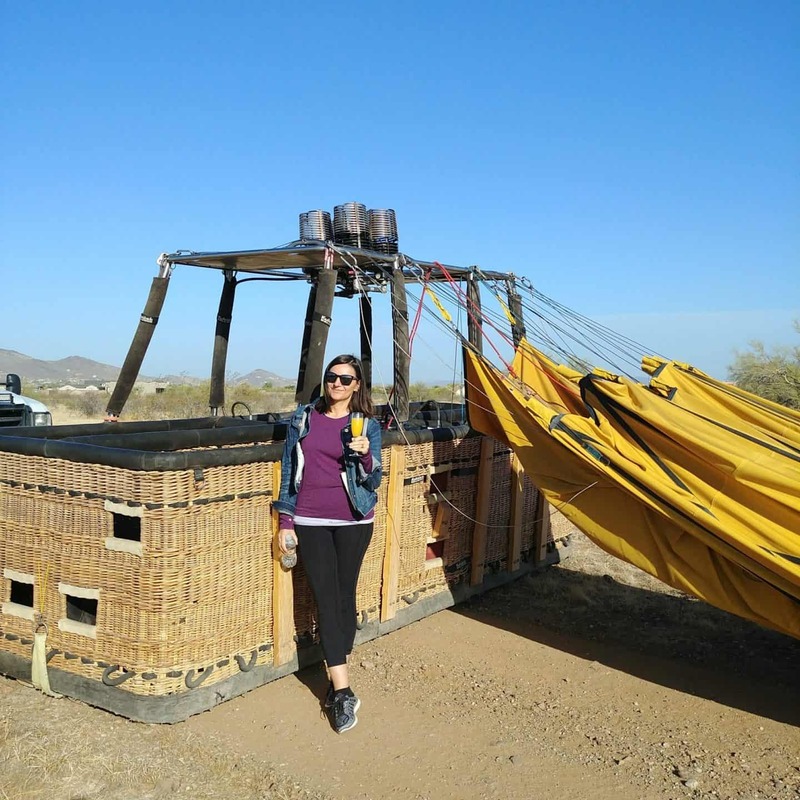 Thank you Hot Air Expeditions for a wonderful experience.